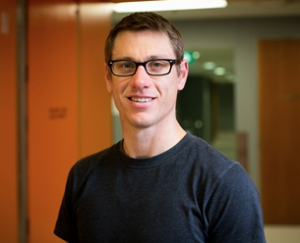 Dr Costan Magnussen and colleagues (Menzies Institute for Medical Research, University of Tasmania) tracked participants in the Cardiovascular Risk in Young Finns Study who had blood samples taken in 1980 when they were aged between 3 and 18 years. Carotid ultrasound data collected from the same people in adulthood, in 2001 and 2007, was then compared to childhood blood cotinine levels and information from questionnaires on parental smoking behaviour. Regardless of other factors, the risk of developing carotid plaque in adulthood was almost two times (1.7) higher in children exposed to one or two parental smokers compared to children of parents who did not smoke. Researchers stressed that to provide the best long-term cardiovascular health for their offspring, parents should not smoke. “For parents who are trying to quit smoking, they may be able to reduce some of the potential long-term risk for their children by actively reducing their children’s exposure to second-hand smoke Ω– for example, not smoking inside the home or car” said Dr Magnussen. “Not smoking at all is by far the safest option”. “What we have been able to establish is that the risks to children from passive smoke extend well into their life and also that these risks are not confined to respiratory illnesses. The impact on cardiovascular health in adulthood is significant,” Dr Magnussen added. “All states and territories in Australia currently have bans on smoking in cars with children, with on-the-spot fines issued for breaches. The state of South Australia was the first to enact this ban in 2007, with all remaining states following suit by 2010. The Australian Capital Territory and the Northern Territory where the final two jurisdictions to come in line, with the Northern Territory enacting the ban in December 2014,” Dr Magnussen added.